The Internet Sacred Text Archive: Welcome to the largest freely available archive of online books about religion, mythology, folklore and the esoteric on the Internet. The site is dedicated to religious tolerance and scholarship, and has the largest readership of any similar site on the web. Early Church Fathers - Additional Texts Edited by Roger Pearse These English translations are all out of copyright, but were not included in the 38 volume collection of Ante-Nicene, Nicene and Post-Nicene Fathers. Please take copies and place online elsewhere. In some cases I have felt it necessary to add an introduction to the online text. These are all placed in the public domain also -- copy freely. The texts are listed in chronological order. Free Online Libraries:Read Books Online! 1.Project Gutenberg is the original producer of free electronic books. There are currently more than 25,000 books in the site's online catalog and 100,000 more titles available from Gutenberg's many partners and affiliates. 3.Questia is probably best known as a resource for students and writers, but the site also hosts an outstanding library with more than 5,000 free books that can be read online. Offerings include classics and rare books. 4.Classic Book Library:This free online library stocks the world's most treasured classics. Books are sorted by genre--children's literature, romance, mystery, science fiction and historical fiction--and include the writings of authors like L. Frank Baum and Jane Austen. 5.FullBooks.com offers thousands of unabridged books that can be read for free online. All of the books are sorted by title. FullBooks.com also includes links to sites that have free reference books, science books and biographies. 6.The Internet Public Library is a great place to access magazines, newspapers and reference works. Site visitors can also find nearly 100 links that will take them to websites offering free books online. Links are updated on a regular basis and include descriptions that make it easy to find what you are looking for. 7.With nearly 4,000 free books, Classic Reader is a great place to find classic books, plays, poems and short stories. You can read the books for free on the site and add your own annotations. 8.Authorama features free books from a wide variety of authors. All of the books in this online library are public domain books in XHTML, which means that formatting and illustrations have been preserved. There are currently more than 100 free books available and new books are added on a regular basis. 9.Bored.com is exactly what the name implies--a site for people who are bored online. The site offers thousands of free books can be stored on your computer and read online. Book offerings include but are not limited to American literature, British literature, children's books, cookbooks, textbooks and reference books. 10.Read Print is a free online library designed for students, teachers and readers of classic books. The well-organized site has thousands of free books sorted by author. Other site features include literature articles and a special section on Shakespeare. 11.The Literature Network has thousands of free books, short stories and poems that you can begin reading immediately. The site also includes a slew of author biographies, quizzes and user comments. 12.LibriVox is a unique online library that caters to both readers and listeners. The site offers free audio books as well as links to text versions that can be read online. Other site features include author bios, book summaries and links to additional book-related content. 13.Bartleby is one of those sites that you want to bookmark the moment you discover it. This Internet publisher has a huge collection of free books that can be read on your computer. Offerings include, but are not limited to: fiction, nonfiction, verse and reference works. 14.The Classic Bookshelf is an especially nice place to read classic books online because of the site's easy readability program. Users can bring up the free book of their choice and decide how they want the screen to look. Things a reader can customize include the color of the page, the color of the text, margin size, print size and font. 15.ReadBooksOnline.net Although this website could be prettier, it is a good place to read free books online. 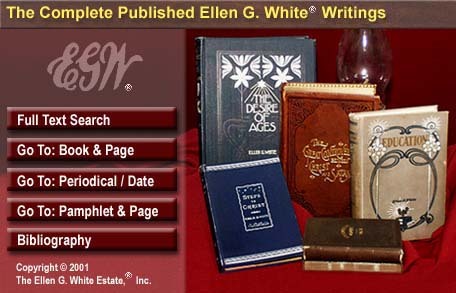 The site has more than 1,000 books by hundreds of different authors. Offerings include the best of American, British and Irish literature. 16.If fiction isn't your thing, Chest of Books is the place for you. This free online library has tons of nonfiction books on a wide range of topics, including art, business, computers, finance, gardening, health, history, home improvement, real estate, science, sports and travel. 17.PublicLiterature.org has a great selection of free classic books that can be read for free online in a user-friendly interface. The site also features works from accomplished authors around the world. Reading categories include children's, classics, comedy, fiction, nonfiction, plays, poetry and sci fi. 18.Biblomania has over 2,000 novels, poems, short stories and plays that can be read for free online. New books are added every month. Biblomania also provides study guides, literature articles and a wide range of resources for students. 19.The International Children's Digital Library Foundation has a growing collection of free books for children around the world. Books are available in multiple languages and most include user-submitted activities and other content that can be viewed in conjunction with the books. 20.Public Bookshelf has something to suit you no matter what your interests. This online library gives users the chance to read classic books and discover new authors. Free book categories include but are not limited to fantasy novels, history books, mysteries, romance novels, teen fiction and horror stories. Public Bookshelf also features an impressive collection of nonfiction. 21.Perseus Digital Library, from Tufts University, is an evolving digital library with a wide range of materials. New content is constantly being added. Current works include classics, modern English Literature and science papers. 22.DailyLit offers a unique service to people who want to read free books online. This site lets you choose the classic and contemporary books you want to read. Then, they send the books to you in installments via email or RSS feed. 23.Fiction.us is a wonderful place to find free novels online. Books are split into chapters so it is easy to remember where you left off. The site also offers a nice range of poetry, plays and picture books. 24.Page By Page Books features hundreds of classic books that can be read for free online. Books can be sought by author and title. 25.Lookybook is a fantastic resource for anyone who is searching for children's books. The site allows users to see entire books--including illustrations--for free. Lookybook also offers book reviews and the opportunity to buy the books you like. 29. Lib Web "Public and University Libraries"
30.New York Public Library Online Non-Residents Pay $100 Annual. 32.The University of Pennsylvania's Online Books Page is one of the best places to read free books online. There are more than 30,000 English works available. All of them are formatted nicely and can be read right on your computer. 36.Over 2,100 publicly-available ebooks from the University of Virginia Library's Etext Center, including classic British and American fiction, major authors, children's literature, American history, Shakespeare, African-American documents, the Bible, and much more. 37.Online History and Genealogy Library.